I read this article and found it very interesting, thought it might be something for you. The article is called Paul Simon and is located at https://www.totallydublin.ie/event/paul-simon/. 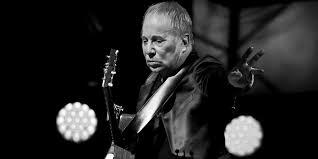 Paul Simon is finally homeward bound as he bids farewell to touring. He has an arsenal of classics from his Simon & Garfunkel days (Bridge over Trouble Water, The Boxer, The Sound of Silence) as well as an auspicious solo career (50 Ways to Leave Your Lover, The Boy in the Bubble, Graceland). This is one to bring your mam and dad to if you don’t decide to just leave them take their own trip down memory lane.